I think that it was late in my junior year that I decided to stop using pencils. I found that when I write with a pen, I tended to stop second guessing myself. This helped me improve my scores on tests, so I was satisfied not using pencils. I had to strike through whenever I made a mistake, but the convenience of erasing was a price I was willing to pay. 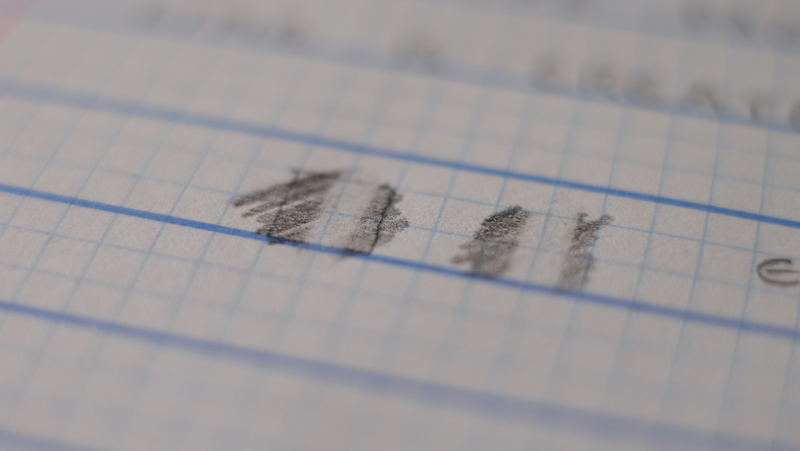 Fast forward to 4 months ago, I decided on a whim to occasionally use a pencil when I was writing out code, because I needed the convenience of erasing. 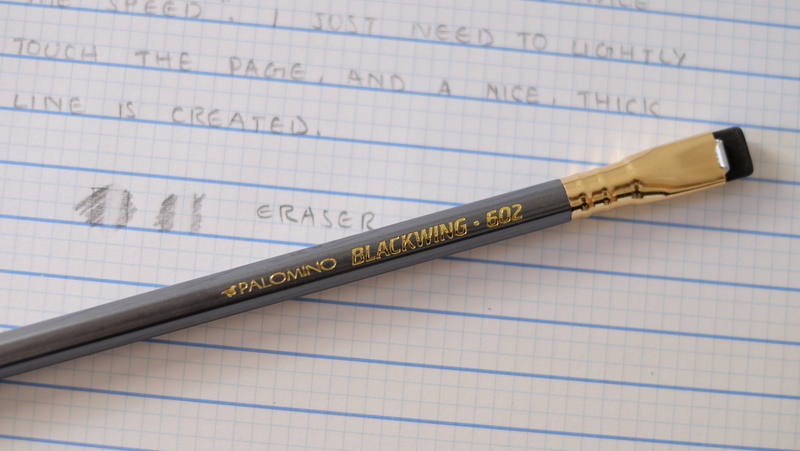 I bought a 20-pack of Palomino Blackwing 602s from JetPens, and was stunned. These pencils were completely different from the crappy number 2 ones I used way back when. They exuded an air of elegance, simplicity, and prestige. After using one up by writing with it everyday for the last 3 months, I can say that this pen deserves every amount of praise it gets, and it gets a lot! This pen really lives up to its marketing slogan: “Half the pressure, twice the speed”. Regardless of the pressure I use, this pencil lays down a nice thick line of graphite on the page. A standard phenomenon I noticed was, right after sharpening, it wrote the darkest. As the writing session went on, the line progressively thickened, but its color was softened to a light grey. This is common with all pencils, but the change is a lot more noticeable with this pencil in particular. The pen comes with an eraser that can be pulled out, and replaced, but since I have 20, I don’t have to worry too much. The eraser holder really draws the eye towards the back end of the pencil. The contrast between the body, eraser holder, and the actual eraser creates a stunning contrast that gives this pen the look of a luxury item(At its price, I’m pretty sure it can already be considered one!). The eraser itself is not too bad, but it does leave a couple of smudges, so I use separate eraser. Overall, this pencil really surprised me, as a viable everyday use product. While the pricing may cause your wallet to cry, you can console it by categorizing it as a “long-term” investment into your writing experience. One pencil lasted me nearly 3 months of constant use until it was sharpened to the size of my pinky. It will take me quite a while to finish the whole pack, but I can guarantee that once I finish, I will definitely get some more. 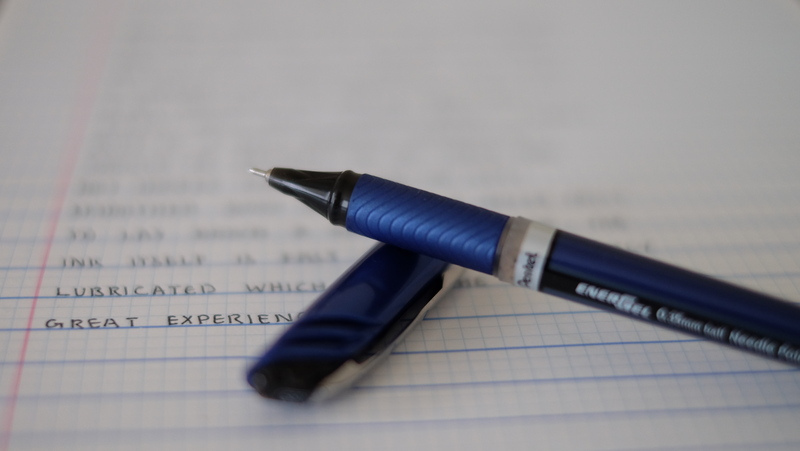 I’ve said it many times, and I will say it again: The grip can make or break the writing experience of any pen. If I don’t feel comfortable holding it, you can be sure I won’t be comfortable writing with it. So far, all the Pentel pens I’ve used have had magnificent grips which I really enjoyed. The same can’t be said for the Slicci. The grip is part of the plastic, so you can expect a sharp, digging sensation in your fingers when using it. I get that this is not a pen you put a fancy grip on, but it feels like they completely forgot to factor in user comfort in the design process. 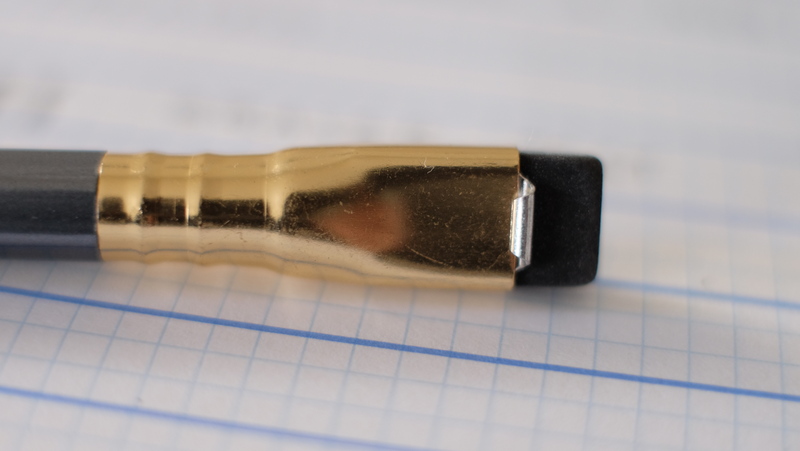 As you can see in the picture, this pen is THIN. So thin, in fact, that it unconsciously makes me grip twice as hard as I usually do, because combined with the lackluster and painful grip, I constantly have a feeling that it’s going to slip. 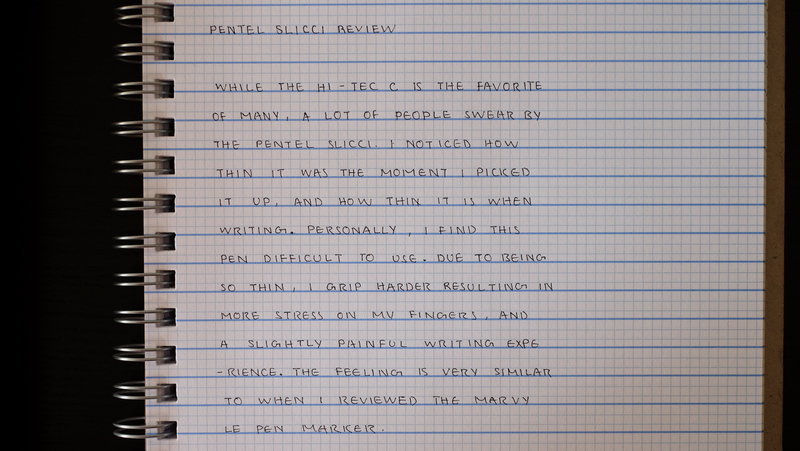 The feeling is very similar to the one I felt when reviewing the Marvy Le Pen marker, that this pen is better suited for those with thinner hands. So far I’ve only highlighted the flaws, so let’s talk about what this pen does right. While being a thin tip, it is definitely more consistent than it’s rival, the Hi-Tec C. It immediately started up out of the box, and I have yet to experience even one hard start. The lines are crisp, and smooth, which results in sharp letters. A word of caution, the tip is sharp, so be careful how much pressure you put on the page, as I have accidentally [engraved?] my words onto the following page by mistake a couple of times. Good thing is, no matter the pressure, the pen will faithfully write, so it’s not too big of a problem.The ink is nice and saturated, it’s fast-drying, and it doesn’t feather even on cheap copy paper. 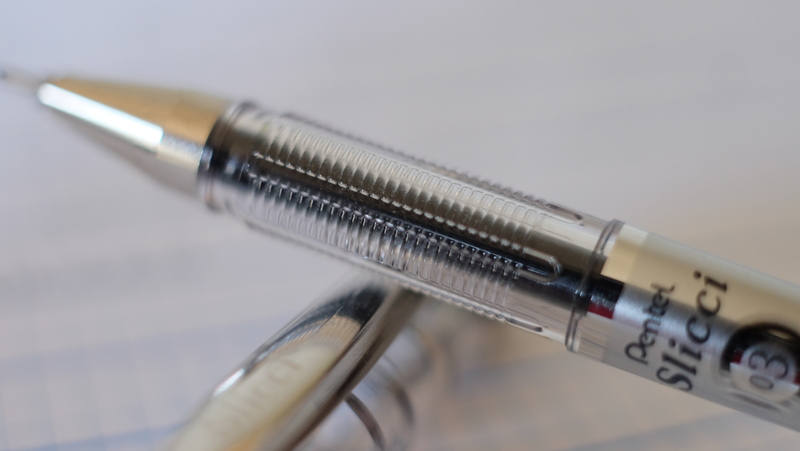 It may be a thin tip, but the ink is also an intrinsic part of what makes this pen good. Overall, I don’t think I’ll be using this pen often, or ever, but that doesn’t necessarily make it a bad pen. While the flaws I pointed out may be something I personally look for in a pen, it doesn’t mean that everyone else would feel that way. This was just me stating my experience, and I can guarantee it won’t be the same for everyone. I would definitely recommend that you give it a try to see whether it suits your taste. 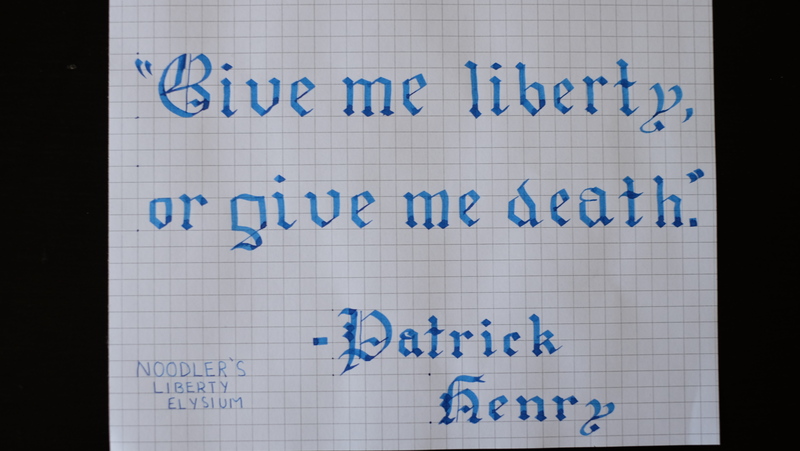 Every time I hear the word “liberty”, the first thing that pops into my head is this timeless quote by Patrick Henry. Said in a time of oppression, and unrest. Great men came together to make this country what it is today, an independent nation. This ink is definitely a potential replacement for the bottle of Kon-Peki I have been using for nearly 6 months. It is vibrant, and lively while not being over the top like some of the brighter blues I’ve seen. It’s smooth in any pen I use, and any paper I write on. 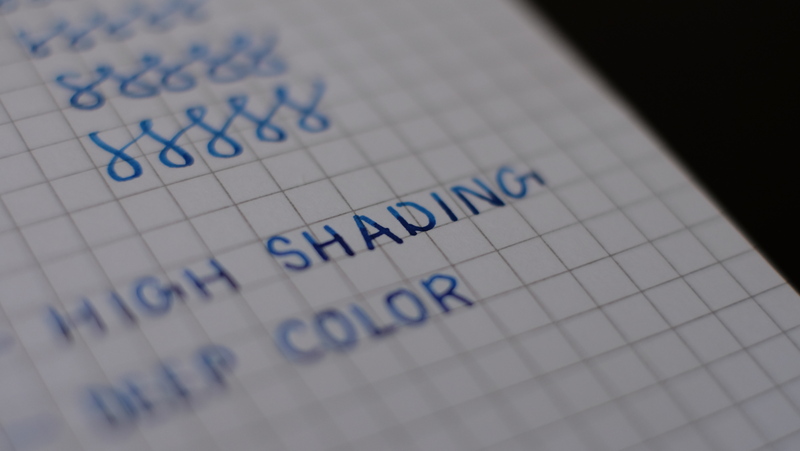 Combined with the saturated color, and shading, this ink is a versatile in it’s application. Hands down one of the best, and most affordable blue ink I have had the pleasure of using, this will definitely be finished quickly. I promised 3 reviews total last week, and they didn’t show up. I had them scheduled, but I made a mistake on the dates. I have corrected my error, and they are scheduled for one post every day this week. Starting today in about ten minutes. I apologize to those who were expecting more reviews last week, and hope that all of these will make up for the ones I missed. Thank you for your understanding, and as always, write on, my friends. Hey guys, well it has been a long while, but I have finally recovered enough to start posting up new reviews and other content. I feel that I have to properly make up for the wait time, so I’ve decided, I’ll post 2 more reviews this week, for a grand total of 3 reviews! I still have to finish reviewing some miscellaneous stuff from my old JetPens haul, so look forward to that. Without further ado, let’s do this! 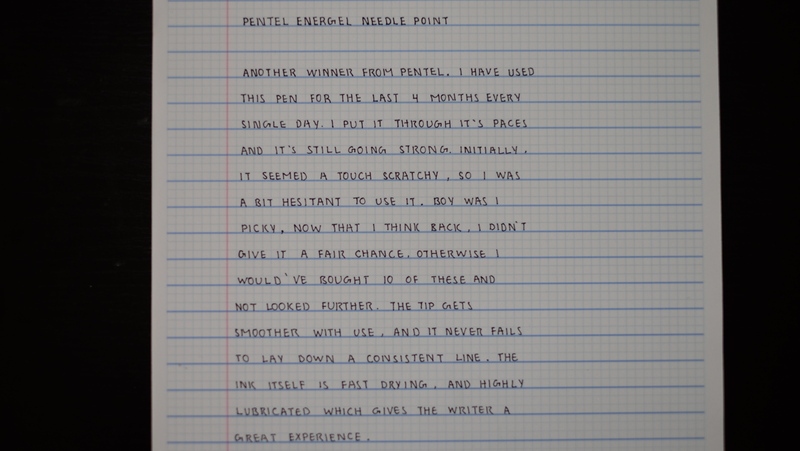 The Pentel Energel Euro Needle-Point. The moment I saw “Pentel Energel”, I knew I had to try it out. With the amazing experience I had with the last Energel I used, I had high expectation for this one. After four months of everyday, intense usage, I can tell you that this pen passed with flying colors. 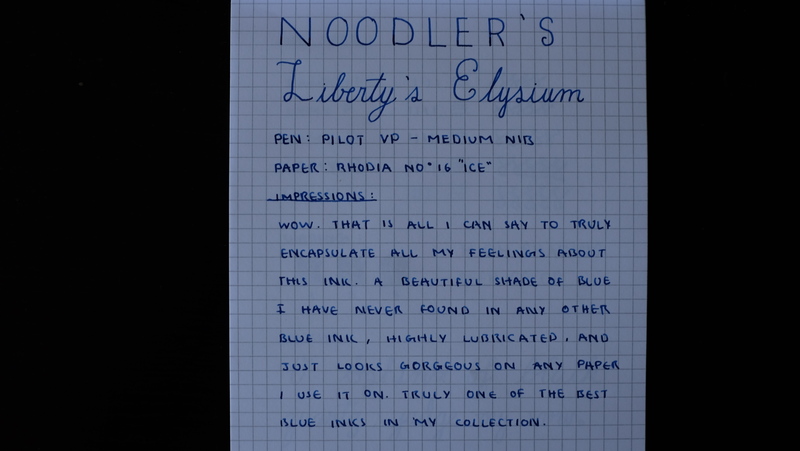 It had the perfect balance between sharp lines, consistent ink flow, and smooth writing. 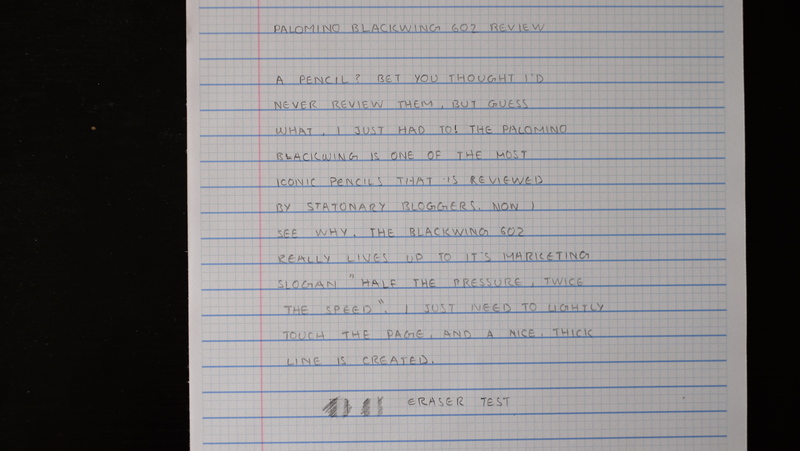 I wrote up a handwritten review so you guys can see how sharp the lines are. As you can see, I was pleasantly surprised by how long this pen has lasted. Like a fine wine, it improved with age. The tip smoothed out after 2 weeks, so I didn’t even bother using any other pen. 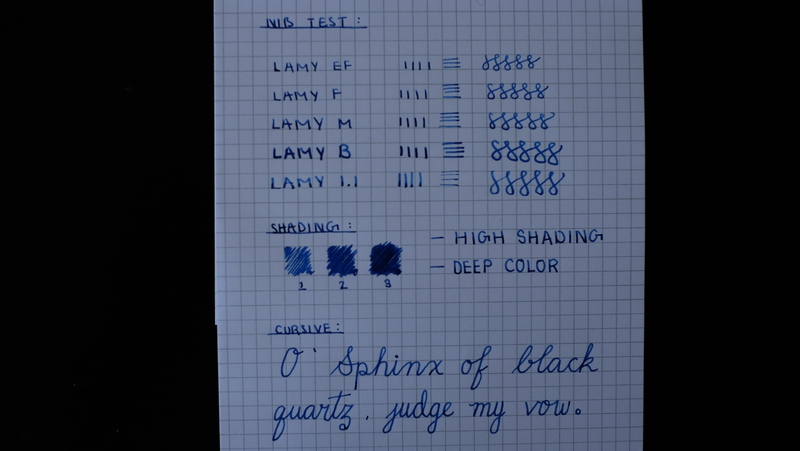 It performed well on all 4 types of paper I tested it on: Rhodia, Maruman, Doane, and standard copy paper. 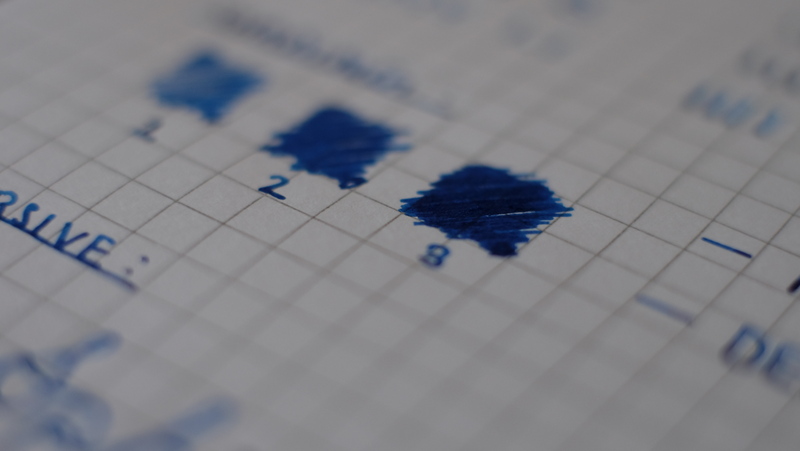 The ink, while being highly lubricated and dark, didn’t present any signs of bleed-through, but on the Doane pad, and copy paper, it exhibited a decent amount of show-through. The grip is something I could talk about all day. 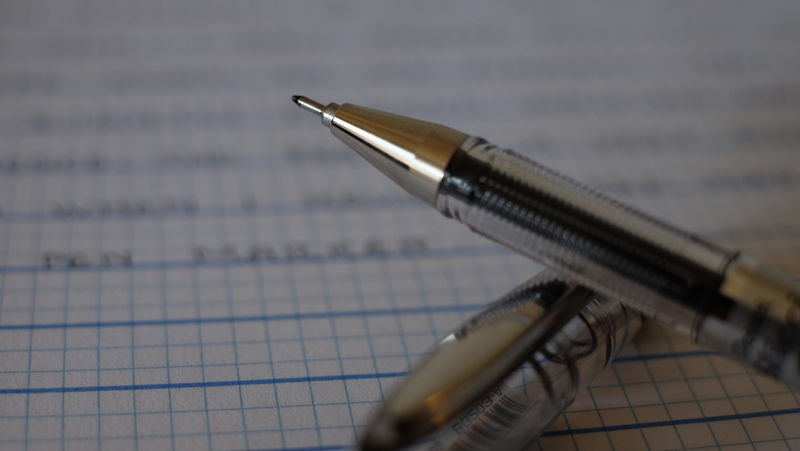 While the grip of a pen seems like a small part of what makes it a decent writing instrument, it actually has a huge effect on performance. This grip in particular, has got to be one of the best I have ever tried. It’s the same grip from the Pentel Energel ballpoint I previously reviewed, but just a little bit slimmer. While being slim, it definitely doesn’t under-perform in any way. I can easily use this for hours at a time, and the sweat doesn’t make me falter. 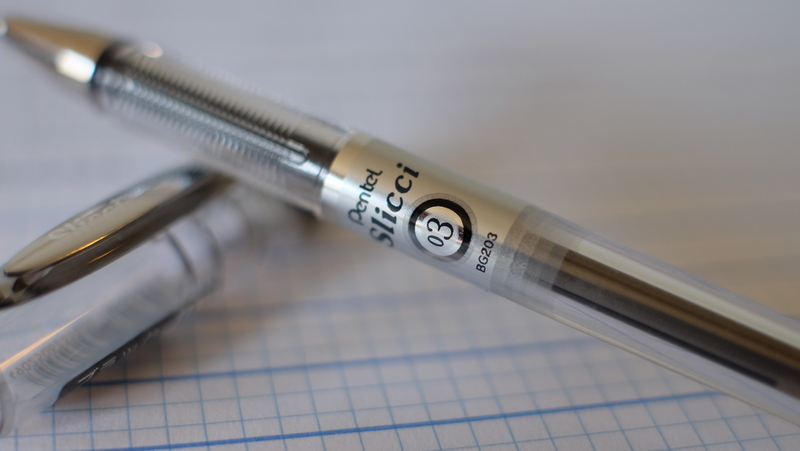 Overall, this pen can give the Pilot Hi-Tec C a run for its money. 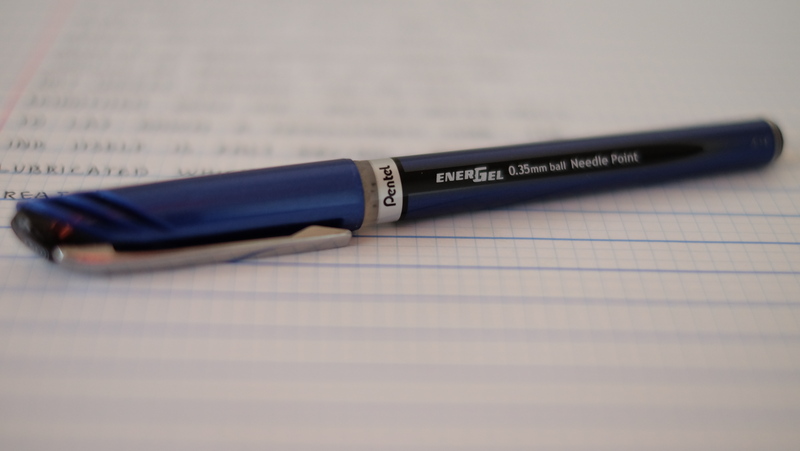 There’s a lot of similarity in the writing experience, and I feel that anyone who loves the Hi-Tec-C, will also come to appreciate the Energel Euro Needle-Point. Try it out, and see for yourselves!